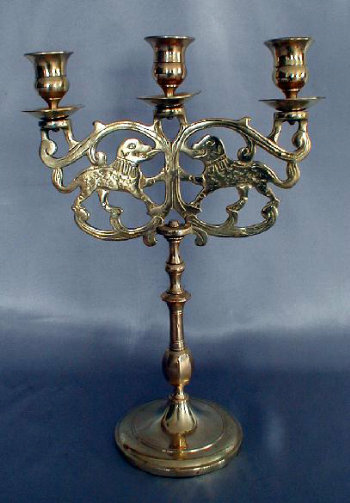 Beautiful Polish cast brass three light Sabbath candelabra, brought to the World during the Great Immigration. Late 19th Century. Grand height of 14 1/4". Multi-faceted stem rises from round slightly domed base with simple banding.